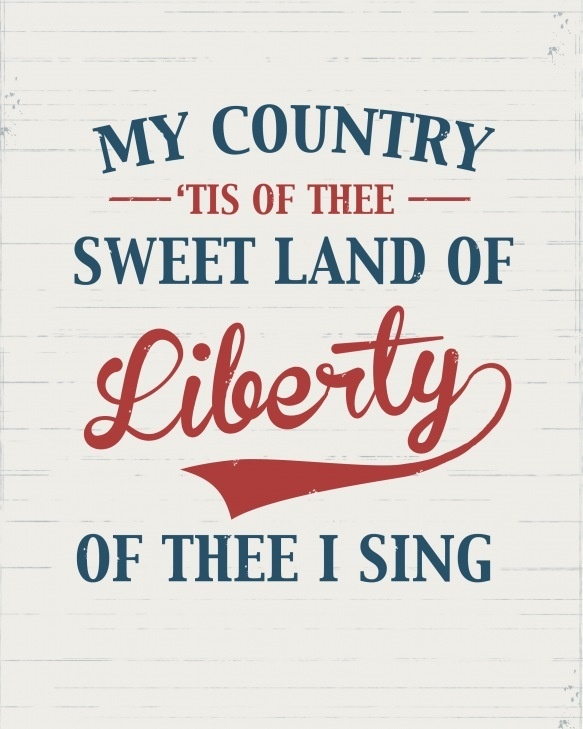 Last year, at this time, I was convicted through a conversation with my sister-in-law, that I needed to take the celebration of Independence Day a little bit more seriously. Typically, the holiday would come and go, I would throw something somewhat festive together at the last minute and the kids would do little more than fight over who got to light the Black Cats. 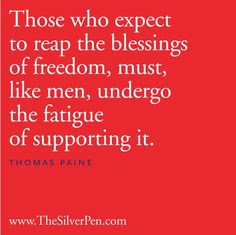 Now, I am even more dedicated to teaching and forming our children to appreciate and value the blood, sweat and tears from which their country was born and to understand that it is not only a responsibility, but a privilege for them to contribute to the preservation of our freedoms. A one-stop-shop for patriotic desserts at Exclusively Weddings. 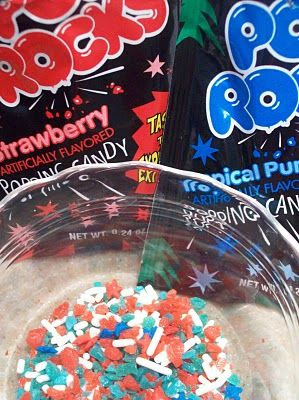 Firecracker sprinkle mix for cupcakes or cookies from Lizard and Ladybug. 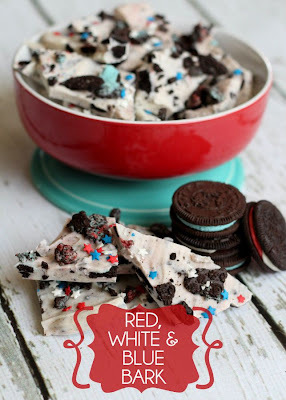 I am definitely making this! Red velvet cupcakes with butter cream frosting and firecracker sprinkles. This kids will love it! 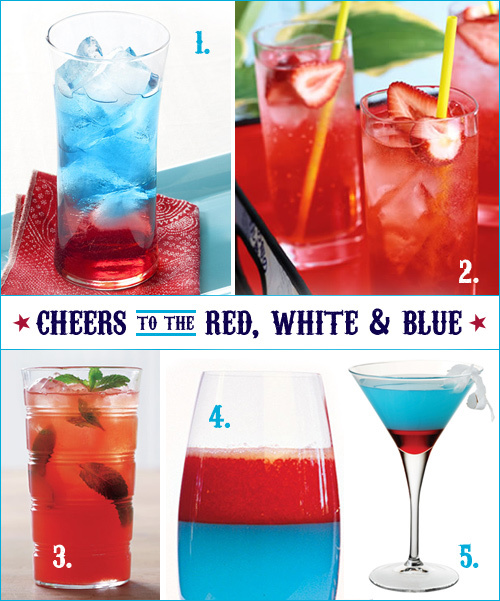 Red, White & Blue Bark from Lil' Luna. So simple, yet so yummy! 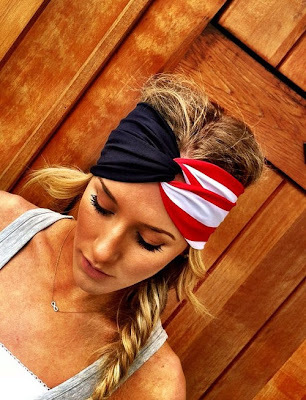 Tuck a couple of pieces into clear plastic bags and tie up with red and blue curly ribbon. 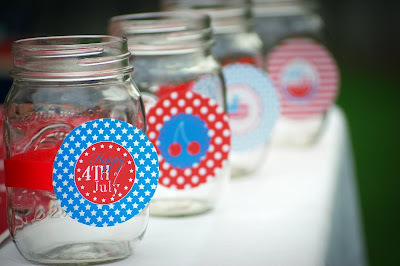 These easy printables on Mason Jars will make a lovely candle lit table-scape. Layer red and blue bandannas down the center of the table or for napkins, and you're done!. This idea is compliments of Kara's Party Ideas. I keep an 8 x 10 distressed white frame on our buffet and find beautiful free printables to change in and out of it during different seasons and holidays of the year. 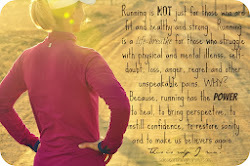 I love this one from HMH Designs. 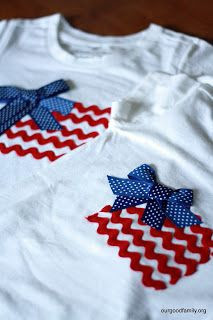 DIY no-sew flag shirts from Our Good Life are adorable! 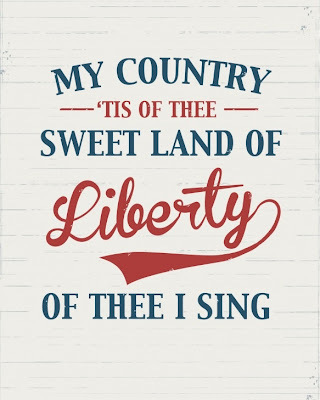 Our boys will wear their go-to patriotic tees, but if I had a little lady, I would be sure to make one of these for her! 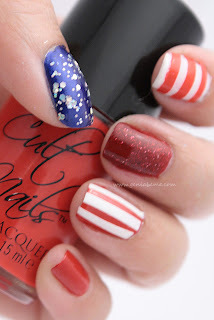 4th of July nail art from Geniabeme. So fun!! Hit the library! 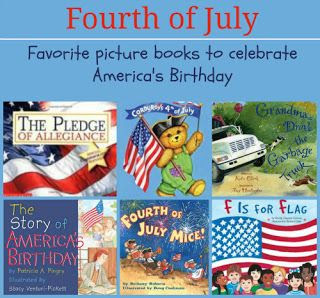 Story book compilation link found at How to Homeschool My Child. I can't wait to watch the boys create these!! 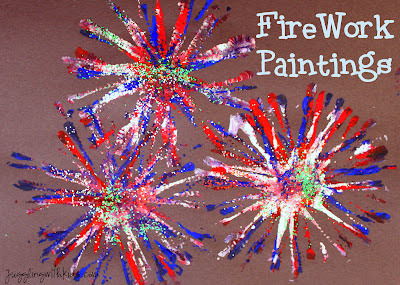 Fire Work Painting from Juggling With Kids. We love to memorize poems and quotes. I chose this one for the older boys. 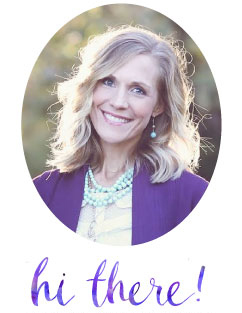 Quote from Hollye Jacobs at The Silver Pen.